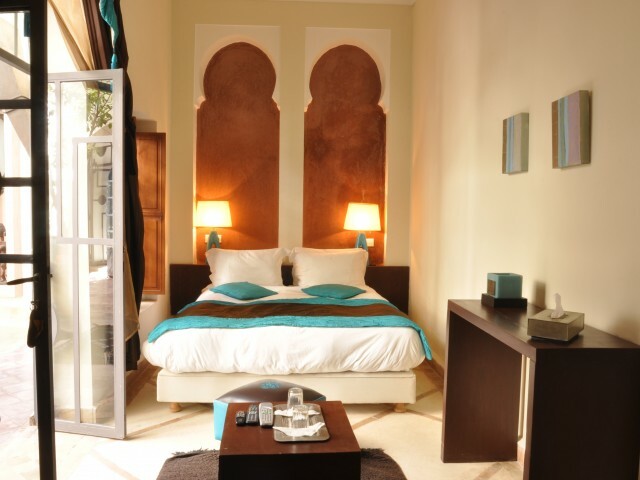 Perfectly located, 15 minutes walk from Jemaa El Fna square and souks, and wonderful Majorelle gardens, in the popular district of Bab Doukkala, riad JARDIN DES RÊVES will be able to transport you to a mixture of tradition and modernity. 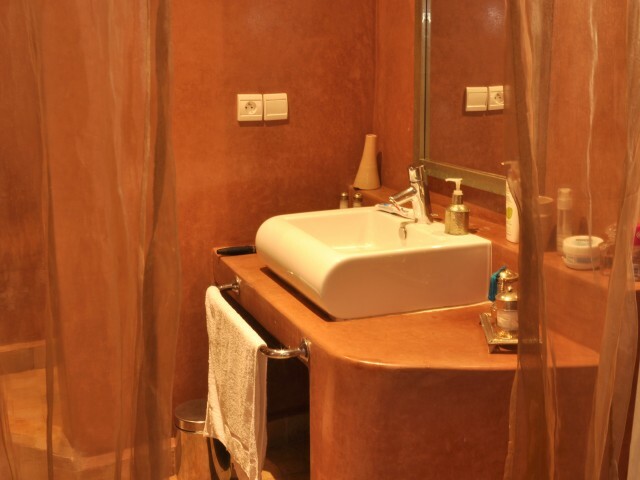 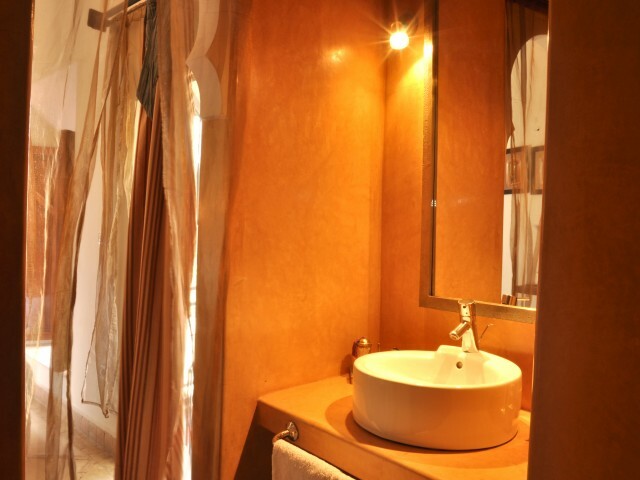 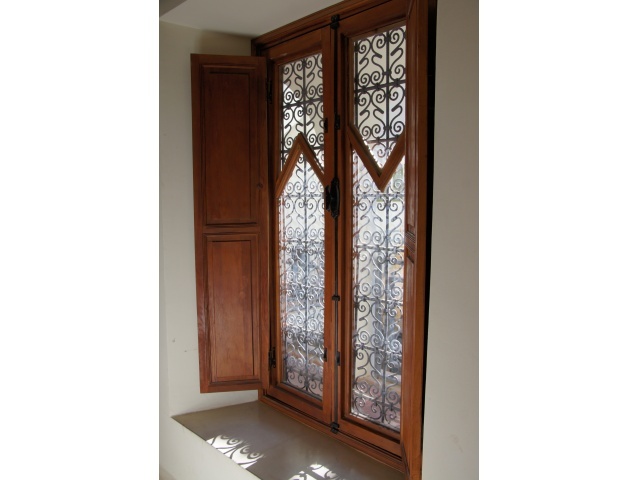 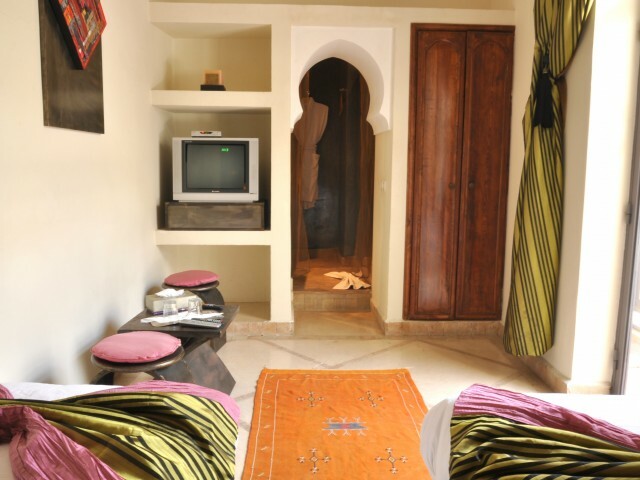 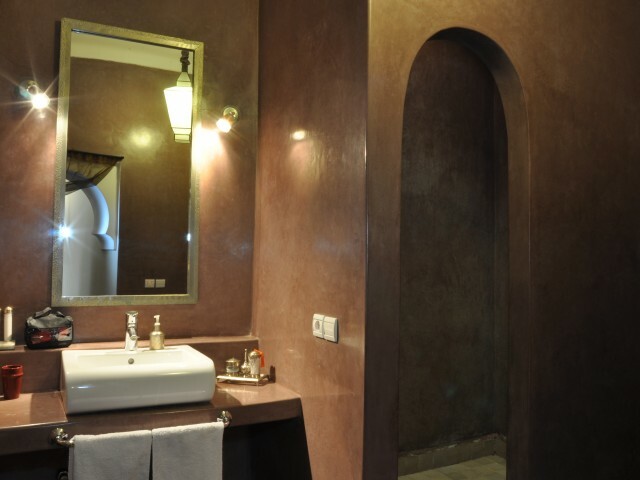 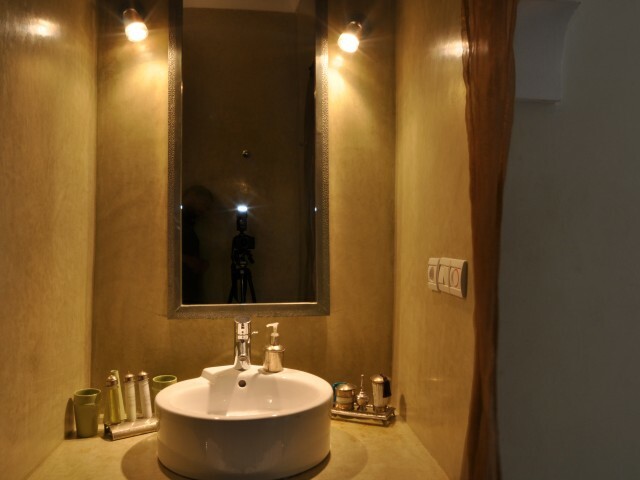 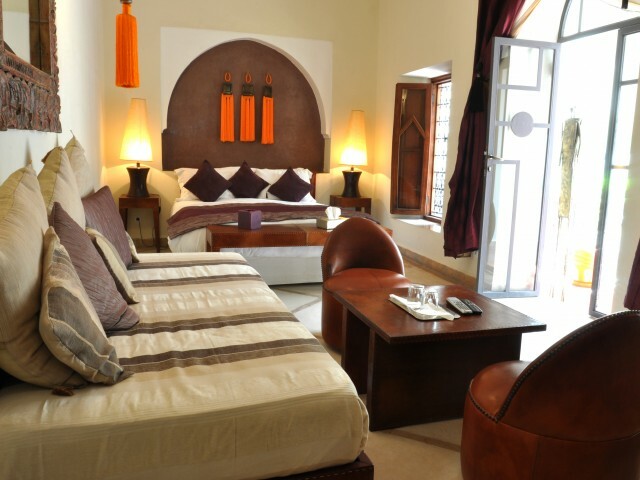 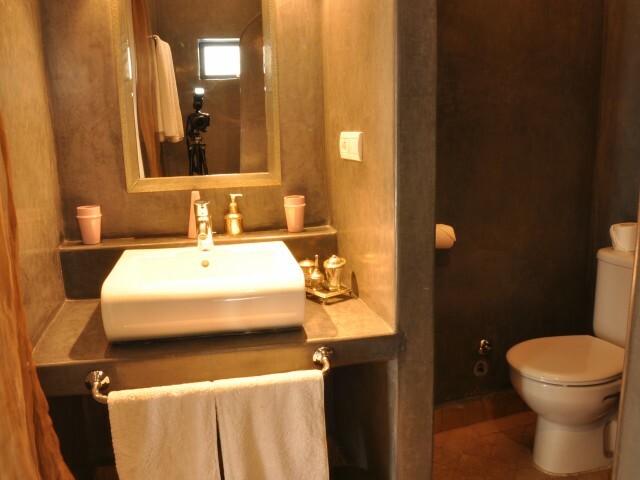 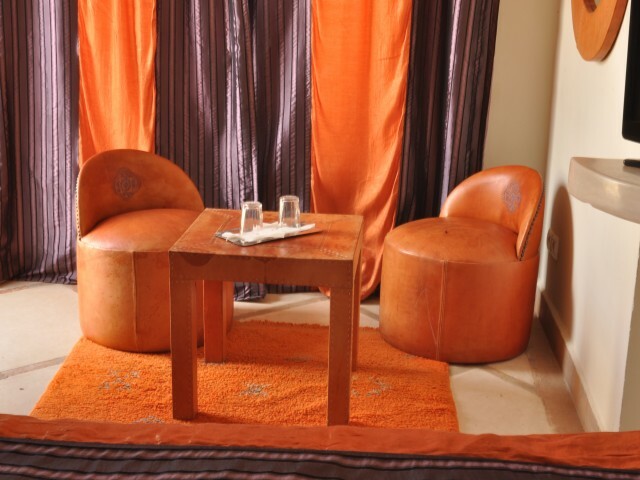 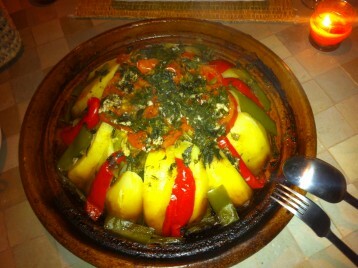 This very beautiful and original riad with 6 rooms, you will carry out time. 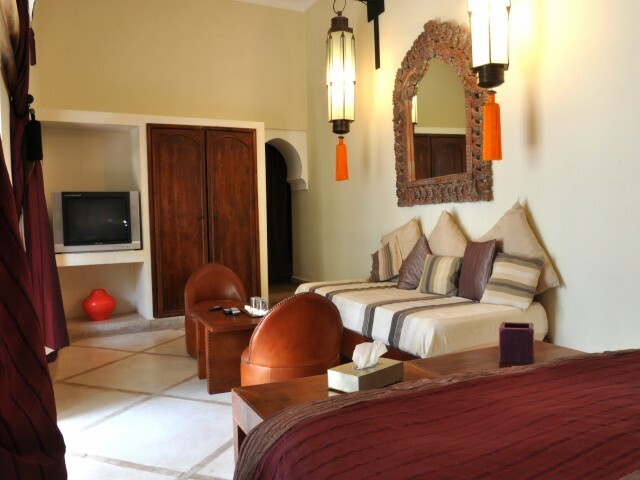 His very cosy, beautifully decorated patio lounge will make you live to the rhythm of time, without stress, without watch, and you will be able to choose, soak in the pool, while sipping a delicious natural fruit juice, relax on the loungers on the terrace, taking advantage of the generous Sun of Marrakech , Alternatively, enjoy the wonderful cuisine, before going to sleep, in a gentle, warm and welcoming room. 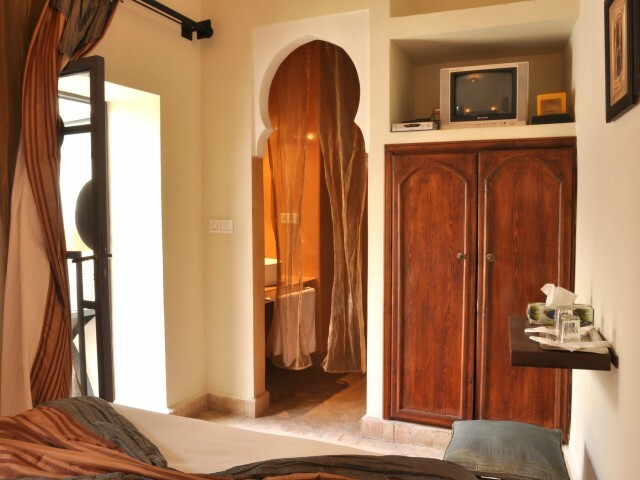 The argan tree is located in the patio, poolside. 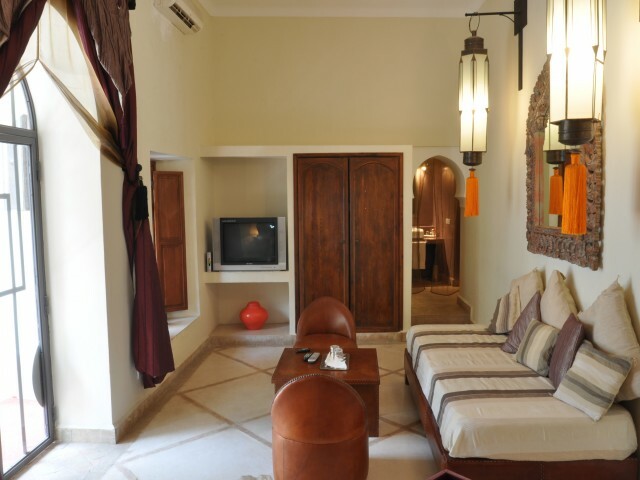 The Palm Grove Deluxe is located on the first floor. 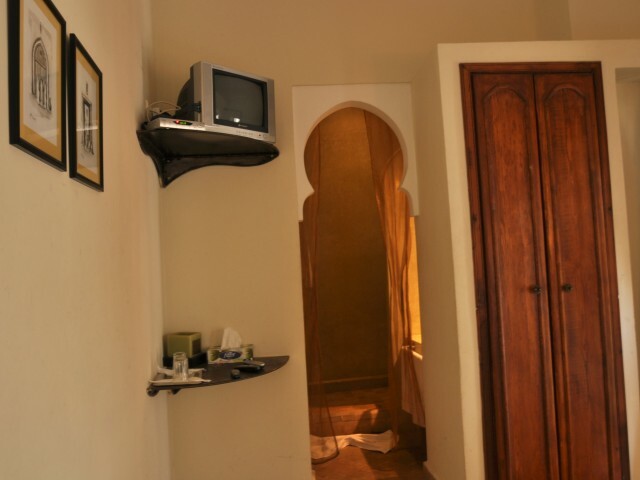 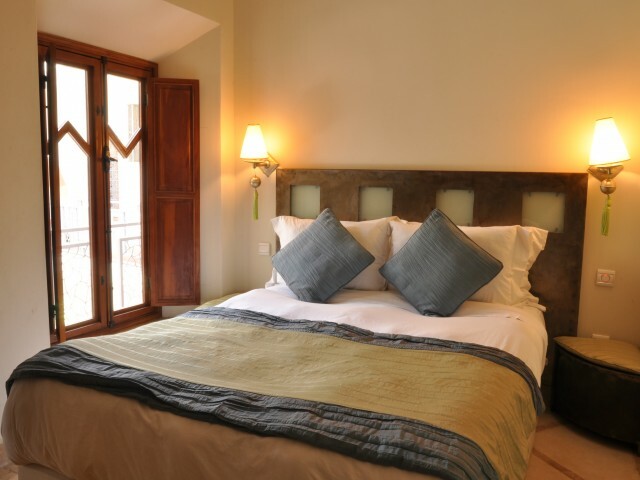 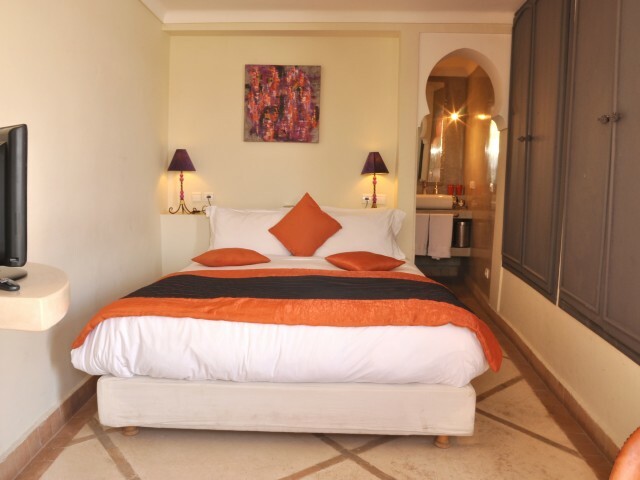 The olive grove is a standard room, located on the first floor of the riad. 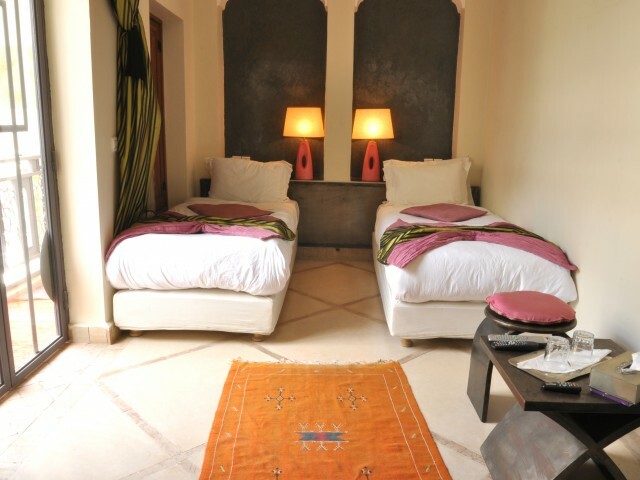 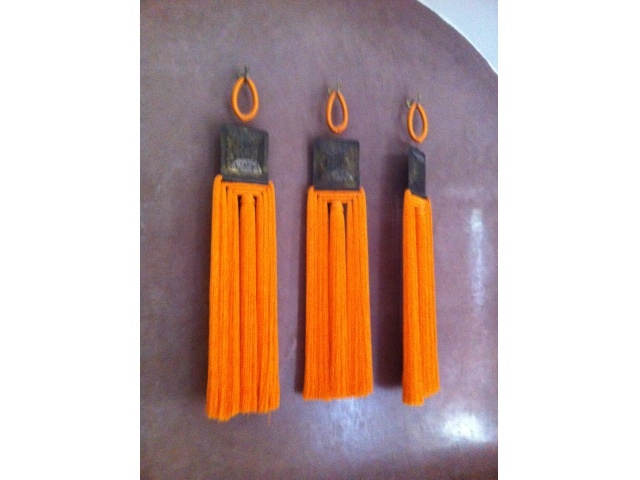 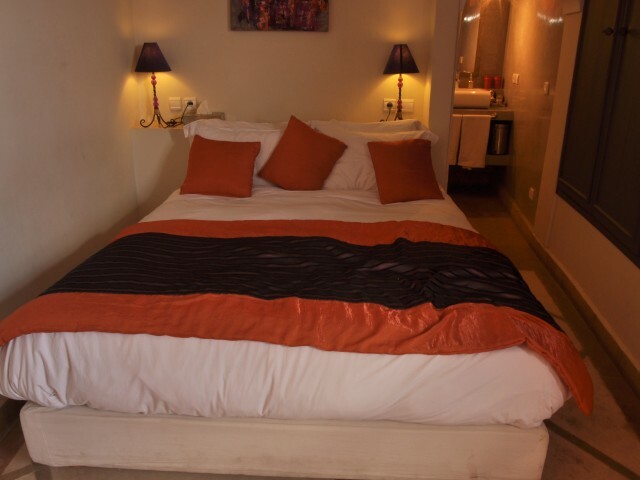 L'ORANGERAIE is a standard on the first floor of the riad. 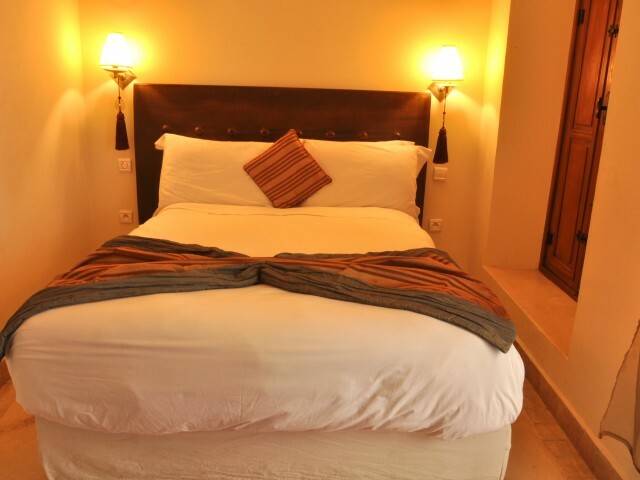 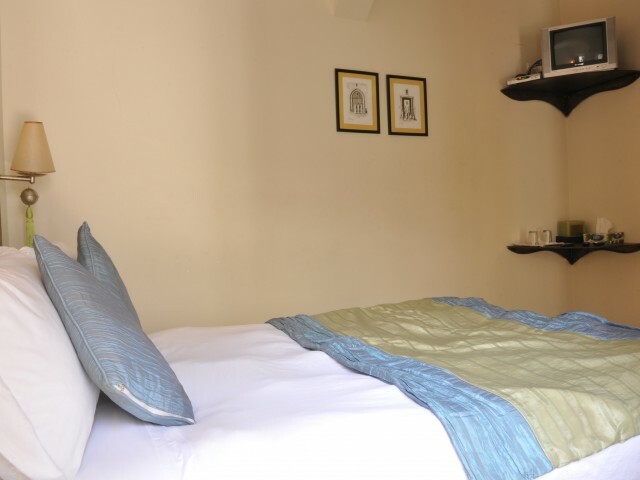 The rose garden superior is a room with two beds, and is located on the first floor. 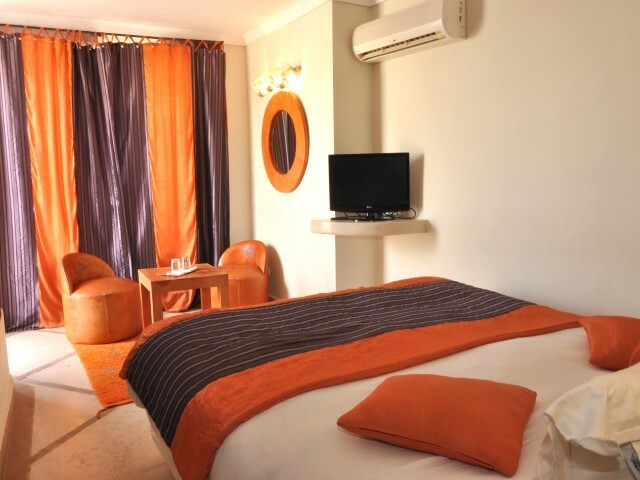 The AGAVERAIE is a superior, located on the terrace on the second floor.